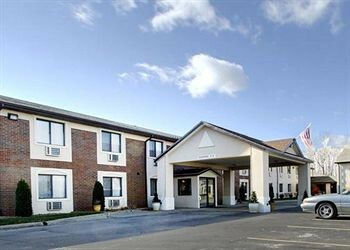 Property Location You&apos;ll be near the airport with a stay at Quality Inn And Suites Ottumwa in Ottumwa.Rooms Make yourself at home in one of the 91 air-conditioned rooms featuring refrigerators and microwaves. Your room comes with a pillowtop bed. Flat-screen televisions with satellite programming provide entertainment, while complimentary wireless Internet access keeps you connected.Rec, Spa, Premium Amenities Enjoy the recreation opportunities such as an indoor pool or make use of other amenities including complimentary wireless Internet access.Dining A complimentary buffet breakfast is included.Business, Other Amenities Featured amenities include a business center, complimentary newspapers in the lobby, and a 24-hour front desk.